It's essentially a side-scrolling survival game, a somewhat basic one too. The aim of the game is actually quite simple, you just need to get to Asgard. To do so, you need to gather pieces of a portal through grinding quests, a little exploration and taking down bosses. I don't want to be overly negative about it, as I always feel bad when I do that so I will give it some positives first, because it's not all bad. It does have some exceptional style and atmosphere which I really did love, however, this is a game where the style of it completely dwarfs the actual gameplay which is actually incredibly dull. I've played masses of games over the years now and most of them do something pretty unique, the problem here is that Niffelheim doesn't really do anything different. As you explore, you will cut down trees, forage, hunt animals, take down skeletons and all sorts of creatures. The standard survival mechanics are here and we're very much used to these mechanics being put into practically all genres now. You can craft buildings too, although you can only do so at specific spots so it's a little limited in that regard too so you don't even get to be a little bit creative with that. The biggest letdown is the combat, which is so incredibly simplistic. The combat is mostly a single button affair, with you simply needing the best equipment along with some items to heal you and that's all there really is to it. There's simply no skill involved to the combat at all really, which isn't helped by the painfully slow pace of the game so it becomes rather tedious. Hold a button down, move left or right a little—done. It will keep you occupied though, with plenty to see and do with the quest system so for those of you who like a much slower experience might actually like it. There's nothing in the game that's hard to grasp either, but even for those who want a slower experience you will probably still find it dim reasonably quick. While you can play with others online, the basic gameplay doesn't really change. It's still a surprisingly boring experience overall. Yep, I'm playing the game, too and I would recommend it if you're looking for a laid back zen-like experience with some really nice art. I find it really relaxing, one of the few games that almost gets me in a trance of a kind. But if you're looking for a challenge of any kind, don't. I have no idea if this was intentionally designed to be so easy or not, so I couldn't even rate it (I think games should be rated based on what they want to achieve). Games don't need to be difficult to be interesting though, the problem is how dull it becomes pretty quickly. Only those games that are heavily story focused manage to be interesting despite offering no challenge. The Telltale games come to mind, or walking simulators, etc. 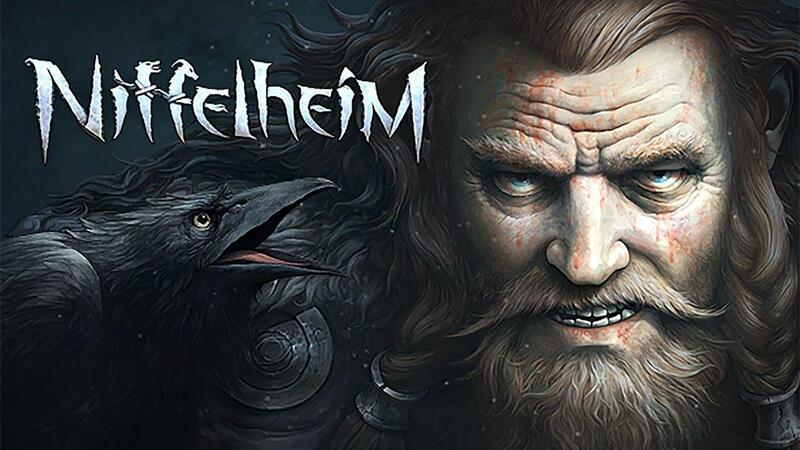 Niffelheim certainly isn't "interesting", other than for discovering new art & monsters. Quote Awesome chill out game, which is funny given you are a gritty viking in the land of death. It really is a game to play to relax, not to be told a story or overcome some challenge. The game's a grinder - albeit a short one, I think finishable in under 20 hours. You (literally) mine and grind and grind and mine - and even the combat is just keeping a button pressed. Usually, I loathe that, but this game for some reason relaxes me - could be the art. I’m not a fan of crafting-survival games, but after reading this review I think I might enjoy it. I’ll get it if it releases on GOG or DRM-free on Humble. I really liked this game. It is not a combat focused game - - and there are not any combat skill trees. This is an exploration game with an emphasis on crafting and base building. It still needs more story elements, but it is otherwise polished. Of all the games that I have played in the last month, this one has had me thinking about it, even afterward. Trailer brings to mind two titles. Kingdom (Classic, New Lands) and Darkest Dungeon. As you commented, it seems very laid back by comparison... if it didn't have the cannon I'd play it because the other two are really time consuming.